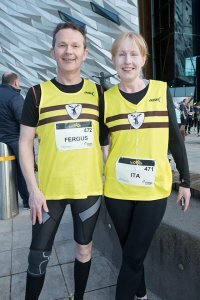 This week Harriers started racing from the world-famous Guinness Brewery in Dublin and the world-famous Titanic Quarter, Belfast. 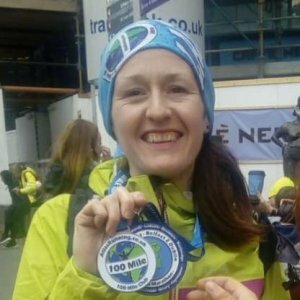 For those for whom a marathon is just not enough, try the Dublin to Belfast Ultra race. That’s what a group of intrepid Harriers did over the weekend. 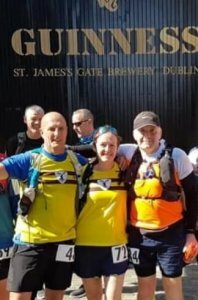 The race started at 12:00 noon from St. James’ Gate, Dublin and finished at the Europa Hotel, Belfast: a distance of 173 kms [107 miles]. Coleen Thompson was the second lady home, coming 8th overall, with Thomas McKinstry and Gordan Glenn also finishing the gruelling course. Over 1000 runners took part in this hugely popular race, now in its 13th year. 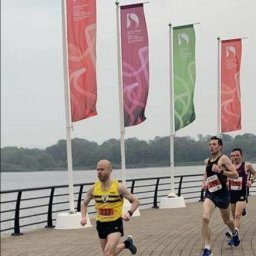 This course took the runners around the Queen’s Island area, starting and finishing close to the icon Titanic building. 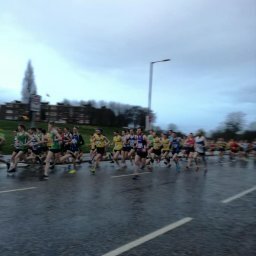 The race was part of the Inter-Area Road Race Series for the first time, which involves teams from North of England, South of England, Midlands, Scotland, Wales and the UK Armed Forces competing across a variety of road race events across the UK. The TQ10k is the first in the series for this year, which will be a two-way match between NI & Ulster and the North of England. 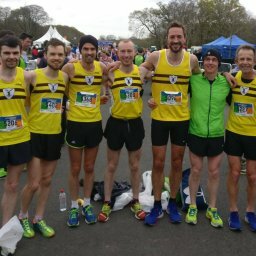 Two North Belfast Harriers made it to the Men’s team: NI & Ulster Senior Cross Country Champion, Mark McKinstry and Conan McCaughey. 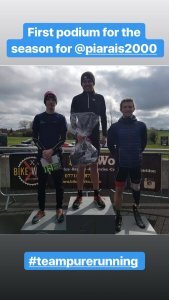 Piarais McShane represented the Harriers in the LTC Down Royal Duathlon series race 2, having competed 4 weeks ago in the first race of this series and finishing 5th overall. Today he came in second place running the fastest splits overall in the race – leading the first run and most of the bike race. The race consisted of the 2 mile – 10 mile – 2 mile format with Piarais achieving a time of 53:11 to finish up 2nd. The final race in this series at the end of April. Saturday saw 67 runners take park in 13 Parkruns with six achieving PBs. 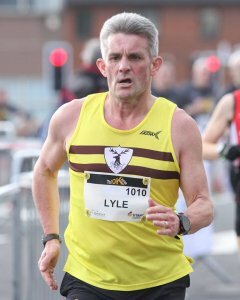 Congratulations to Luke KELLY, Matthew LAVERY and Paul HORAN who won the Waterworks, Belfast Victoria and Ormeau parkruns respectively. Congratulations also to the many C25K graduates from Edmund Rice Collage, Girls Model and Girdwood. A big Parkrun welcome! 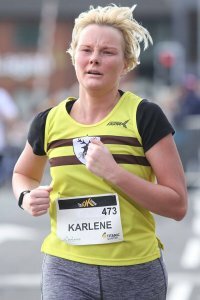 69 Joanne CURRAN 00:25:28 New PB! 148 Ita WEIR 00:29:45 New PB! 1 Matthew LAVERY 00:16:40 Winner / New PB! 18 Thomas Peter NORTON 00:25:54 New PB! 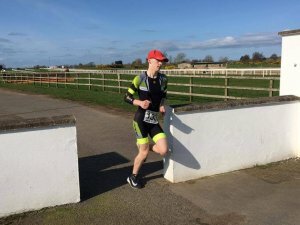 1 Paul HORAN 00:17:37 Winner / New PB! 24 Claire CONNOR 00:23:46 New PB!